With your membership at the Brownwood Public Library, you have access to dozens of databases. Whether you are researching for school, studying for a test, improving your computer skills, compiling your family tree, need craft ideas, home improvement help, engine repair guidance or more, check out the vast array of databases available to you. Some databases are only available in certain library branches; some databases can be accessed from home with a log-in. Ask at the library how to log in from home. TexShare databases are identified with the TexShare symbol. Provides repair guides for small engines and routine maintenance (tune-ups, brake service, etc.) as well as extensive repairs (engine and transmission disassembly) and also allows users to search by product type, brand, model/engine type, specific area of model/engine type, and model numbers. Includes information for all manner of small engines, including ATVs, generators, boat motors, motorcycles, lawnmowers, snowmobiles, tractors, outdoor power equipment like chainsaws and leaf blowers and more. Online preparation for the Texas learner's permit test. eBooks, audiobooks and magazines available to checkout from Brownwood Library's digital site. Use your computer, Kindle, iPad, Nook or other device to read and listen. Bring your device to the library if you need help. More than 27,000 eBooks are available for browsing, searching, and virtual check-out. TexShare's eBook collection includes titles from the world's leading business, technology, trade, reference, academic, and scholarly publishers. Search by title, author, keyword, publisher, publication date, or ISBN number. Besides popular fiction and non-fiction, includes many excellent, in-depth non-fiction books that may work well for college papers and studying. Creating a free My Ebscohost account is required before you can access these eBooks offline. Online digital library of full texts of over 50,000 scholarly e-books. Combines books from over 435 academic, trade, and professional publishers. It also includes sheet music and government documents. Especially helpful for research, academic work and those seeking non-fiction information, though there is some fiction. A large collection in both English and Spanish. 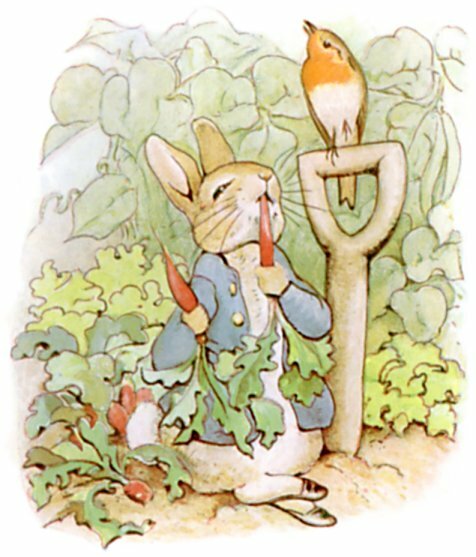 TeachingBooks.net is an easy-to-use website that adds a multimedia dimension to the reading experiences of children's and young adult books. It includes thousands of resources about fiction and nonfiction books used in the K–12 environment, with every resource selected to encourage the integration of multimedia author and book materials into reading and library activities. Watch a short video on how to use this great resource for teachers, parents and students. Contains the poetry of over 280 poets from 1900 to the present day, including W.B. Yeats, Rudyard Kipling, Wilfred Owen, Robert Graves, A.E. Housman, John Betjeman, Fleur Adcock, Tony Harrison, Benjamin Zephaniah, Isaac Rosenberg, D.H. Lawrence and Carol Ann Duffy and many others from the lists of Carcanet, Enitharmon, Anvil Press, Bloodaxe Books and other poetry publishers. It also incorporates works by poets such as Sylvia Plath, T.S. Eliot, Seamus Heaney, Ted Hughes, Louis MacNeice and Siegfried Sassoon from The Faber Poetry Library. Many excellent legal books available through Overdrive with a library card from the Texas State Law Library. A library card can be applied for by any Texas resident. ​View a guided tour of this database. Comprehensive online resource for finding companies and products manufactured in North America. Free registration is required to view company records. Information on school performance, listings of 200,000 public and private schools serving students from preschool through high school and more than 800,000 parent ratings and reviews. Digitized versions of collection materials available online since 1994, concentrating on its most rare collections and those unavailable elsewhere. Brings together the riches of America’s libraries, archives, and museums, and makes them freely available to the world. Rick Prelinger and The Internet Archive offer public domain films from Prelinger Archives to all for free downloading and reuse. Large collection of audiobooks and books and magazines in Braille, as well as special equipment, available to borrow for free to those who qualify. Search for topics like disability benefits, housing, and assistive technology. Located in Abilene, provides information on any disability-related topic, referrals to appropriate agencies and programs, assistance in applying for services and independent living skills training. Visit the Facebook page for Deafness Resource Specialist Region II, Big Country and Red River. Can help you find local services like food, housing, health care, senior services, child care and legal aid. For free, confidential, multilingual service 24/7 call 2-1-1. Digital books available for check out from the Texas State Law Library. Acceso a casi 200 revistas académicas de escolar de publicadores latinoamericanos e españoles con artículos en texto completo. Pruebas de la práctica, ejercicios, cursos de desarrollo de habilidades y de información para el GED, preparación para la universidad, la búsqueda de empleo, la ciudadanía y más. Base de datos Learning Express 3.0 en Español ofrece tutoriales en gramática inglesa, matemáticas basica e exámenes para practicár. Acceso a casi 100 revistas sobre investigación médica de publicadores latinoamericanos en texto completo. Salud en Español provee reportes completos basados en evidencias y fichas de datos relacionados a todos los aspectos de la salud y el bienestar incluyendo iformacion en relacion a enfermedades yprocedimientos de tratamientos. The straight-forward approach teaches practical language skills across every functional area: Listening, speaking, reading, writing, grammar, and culture. 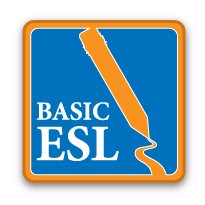 Courses for 80 languages are available, with up to 22 months of guided instruction per language. Pronunciator also provides citizenship preparation courses in English and Spanish; a 6-week immersion course for front-line healthcare providers; 250+ live, half-hour classes per week led by native speakers; quizzes, flashcards, phrasebooks, and pronunciations guides; streaming feature films with subtitles plus integrated drills and quizzes; streaming major label music with lyrics to facilitate learning; and the ability to design customized online language courses for students. All of these features are available in natively programmed apps for iPads, iPhones/iPod touch, Android tables, Android phones, and Kindle fire. ProCitizen is an online course to prepare New Americans for the civics, reading, and writing parts of the USCIS Naturalization Test. Includes 100 instructional videos in both English and Spanish. Improves ’s listening, speaking, reading and writing skills through a simple to follow, and proven curriculum. Students learn English quickly and effectively on relevant topics including: family, home, school and many other topics. In each lesson students learn key vocabulary and how to use that vocabulary in conversation. Temas de salud e información sobre medicamentos. Acceso a enciclopedia médica ilustrada, programas interactivos para el paciente y las más recientes noticias acerca de la salud. Tutorials on computer, Internet and email basics, social media, google docs, and word processing. Varieties recommended by Texas A & M for Brown County. Search for other Texas counties as well. Some databases are available only at the Genealogy Library, a branch library of the Brownwood Public Library, including extended genealogy research and newspapers. Be sure to visit the genealogy library at 213 S Broadway St. It is open Tuesday through Friday, 9 a.m. to 6 p.m. 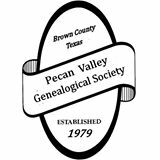 It is heavily supported by the Pecan Valley Genealogical Society, a great group of folks who can answer many of your genealogy questions. Visit the Newspapers page for help in locating specific issues of historical papers and documents. The mission of PVGS shall be for genealogical, literary and educational purposes, to promote and stimulate interest in history through family research; to cooperate with patriotic and heritage societies in the field of family research; to conduct educational programs and to disseminate information to the members and to the public pointing up the importance of history, tradition, family knowledge and pride. To assist financially in the establishment of a genealogical collection and/or knowledge, said collection to be comprised of local, regional, and national genealogical data; to stress research in, gather and preserve genealogical data and vital public records of Brown County and the surrounding areas. Delivers detailed property and land-use records that depict the grid of everyday life in more than 12,000 U.S. towns and cities across a century of change. The maps provide a wealth of information, such as building outline, size and shape, windows and doors, street and sidewalk widths, boundaries, and property numbers. Plans often include details on construction materials and building use, and depict pipelines, railroads, wells, water mains, dumps, and other features likely to affect the property's vulnerability to earthquake, fire, and flood. Combined with other sources such as city directories, photographs, small-scale maps, census records, genealogies, and statistical data, Sanborn maps provide an unparalleled picture of life in American towns and cities. Includes maps of Brownwood from 1885, 1888, 1893, 1898, 1904, 1909, 1915, 1923, 1930 and 1930-1960. Within this site you will find general information about the District and the ad valorem property tax system in Texas, as well as information regarding specific properties within the district. Public records of property taxes and ownership are maintained online. BCAD is responsible for the fair market appraisal of properties within Brown County. National Parks Database site, great for history and genealogy. One option for creating your family tree online. Aimed to create a family tree of the world. While family profiles are private, Geni’s mission is to create a shared family tree of common ancestors. By combining research into a single tree that users work on together, users can focus on verifying information and on new avenues of research, rather than spending time duplicating research that others have already done. A basic membership is free. GeniPro can be accessed for free from either the main library or genealogical library. Brings up topo maps from across the United States. Digital scans of collections held in other Texas libraries, museums, archives and historical societies. Has newspaper databases, city directories and photograph database that are valuable to genealogy. Also has digitized Howard Payne yearbooks and newspapers. Includes many excellent Texas history resources, including maps, photographs and issues of the Brownwood Banner-Bulletin, Cross Plains Review, Santa Anna News, Rising Star Record, Callahan County Star and more. A nonprofit family history organization, provided by the Church of Jesus Christ of Latter Day Saints, dedicated to connecting families across generations. The free access site is maintained by a dedicated team of employees and volunteers who work tirelessly to preserve and share the largest collection of genealogical and historical records in the world. Strives to create and link the best and most valuable research resources to help people discover who they are by exploring from where they came. Dedicating to finding, recording and presenting final disposition information from around the world as a virtual cemetery experience. Find a Grave memorials may contain rich content including pictures, biographies and more specific information. Members can leave remembrances via 'virtual flowers' on the memorials they visit, completing the virtual cemetery experience. This interactive search form provides access to an index of names, counties of residence, and pension numbers of some 54,634 approved, rejected, and home pensions issued by the Texas government between 1899 and 1975. Pension files known to be missing are also included and are clearly identifiable by the word Missing which appears next to the application number. Please read the Introduction for information about the Confederate Pension Application documents and how to use the search tool. Contains the formal reports, both Union and Confederate, of the first seizures of United States property in the Southern States, and of all military operations in the field, with the correspondence, orders, and returns relating specially thereto, and, as proposed is to be accompanied by an Atlas. In this series the reports will be arranged according to the campaigns and several theaters of operations (in the chronological order of the events), and the Union reports of any event will, as a rule, be immediately followed by the Confederate accounts. The correspondence, etc., not embraced in the "reports" proper will follow (first Union and next Confederate) in chronological order. Search America's historic newspaper pages from 1836-1922 or use the U.S. Newspaper Directory to find information about American newspapers published between 1690-present. Many early Texas newspapers are available from 1836 forward. Maintained by a group of volunteers working together to provide free genealogy websites for genealogical research in every county and every state of the United States. Non-commercial and fully committed to free genealogy access for everyone. Organization is by county and state, and this website provides you with links to all the state genealogy websites which, in turn, provide gateways to the counties. The USGenWeb Project also sponsors important Special Projects at the national level and this website provides an entry point to all of those pages, as well. Offers everyday users the necessary tools and detailed how-to instructions covering a wide-range of legal issues. A majority of the full-text legal reference books are provided through Nolo, the nation’s oldest and most respected provider of legal information for consumers and small businesses. With the Legal Forms by U.S. State feature, users can search state-specific legal forms by top subject areas including adoption, bankruptcy, name changes and more. A phenomenal resource for legal questions and research. Check out the FAQs for answers to commonly asked legal questions (How old does a child have to be to be left alone? Is it illegal to pick bluebonnets?) Check out the Commonly Requested Legal Forms, which is a great way to ensure you are getting the most up-to-date form, instead of whatever was found on the Internet. Research Guides by Topic provides links forms, recommended books, articles on many important legal topics. Finally, you can get ebooks from Overdrive with a library card from the Law Library. Any Texas resident can apply for a library card. For further help, you can contact the law librarians by phone or email. They can help you with research, but cannot give legal advice. Finally, visit the Where to Go for Help page for tips for further research, legal clinics, legal hotlines, how to fine a lawyer, etc. Containing full text for more than 300 of the world's most respected, scholarly law journals, this database is an authoritative source for information on current issues, studies, thoughts and trends of the legal world. Offers information centered on the discipline of law and legal topics such as criminal justice, international law, federal law, organized crime, medical, labor & human resource law, ethics, the environment and much more. Searches multiple U.S. Federal government databases; useful for statistics searches. Created specifically for students, knowledgeable consumer health researchers and health care professionals, integrates tens of millions of articles from a wide range of full-text nursing and allied health journals, magazines, newsletters and select consumer health information sources with full-text reference works and thousands of health-related multimedia assets, all available 24/7 through an intuitive, state-of-the-art platform with daily content updates. A vast array of health information from the U.S. Department of Health and Human Services. Includes MedlinePlus, PubMed, ClinicalTrials, GenBank, Toxnet, Genetic Home Reference and more. A Texas specific product designed specifically for school and public libraries. The database is comprised of periodicals, reference books, reports, and other content relevant to the state. Texas Reference Center contains 30 full text periodicals, 100 full text reference books, several Texas newspapers, and much more. Examples of titles offered include: Best in Texas, Texas Business Review, Texas Education Review, Texas Journal of Agriculture & Natural Resources, Texas Journal of Women & the Law, Texas Journal on Civil Liberties & Civil Rights, Texas Law Review, Texas Magazine, Texas Monthly, Texas Public Health Association Journal, Texas Review, Touchstone (Texas State Historical Association), Texas Gardener and many more. A unique resource that makes available, for the first time, many rare and significant documents from the Edward E. Ayer Collection at the Newberry Library, Chicago; one of the strongest archival collections on American Indian history in the world. Over 23,000 articles on Texas history, geography, culture, etc. Online access to country profiles, maps and suggested related books and photos. Provides users with user-friendly “how-to” information covering a range of home improvement and repair projects and features full-text content from leading magazines, images not found anywhere else online, and videos of popular home repair projects. Includes such topics as architectural techniques, tool and material selection, zoning requirements, and many more. Provides repair guides for small engines and routine maintenance (tune-ups, brake service, etc.) as well as extensive repairs (engine and transmission disassembly) and also allows users to search by product type, brand, model/engine type, specific area of model/engine type, and model numbers. Detailed, user-friendly repair guides for all manner of small engines, including ATVs, generators, boat motors, motorcycles, lawnmowers, snowmobiles, tractors, outdoor power equipment like chainsaws and leaf blowers and more. Explora is EBSCO’s new user-friendly design that simplifies the search process and creates a friendly user experience for students and public library patrons while also offering teachers and librarians the tools they need to help navigate the content available in the EBSCO databases. Explora for Public Libraries includes ERIC, American Heritage Children's Dictionary, Middle Search Plus, Primary Search, MasterFILE Premier, Health Source-Consumer Edition, Military and Government Collection, MAS Ultra-School Edition, Business Source Complete, Literary Reference Center, GreenFILE, Academic Search Complete, Topic Overviews 6-12 and the statewide EBSCO and Project Gutenberg e-book collections. Explora is EBSCO’s new user-friendly design that simplifies the search process and creates a friendly user experience for students and public library patrons while also offering teachers and librarians the tools they need to help navigate the content available in the EBSCO databases. Explora for primary schools includes Funk & Wagnall’s New World Encyclopedia, the American Heritage Children’s Dictionary, Primary Search and Topic Overviews K-5. Explora is EBSCO’s new user-friendly design that simplifies the search process and creates a friendly user experience for students and public library patrons while also offering teachers and librarians the tools they need to help navigate the content available in the EBSCO databases. Explora for Middle School includes Funk & Wagnall’s New World Encyclopedia, Middle Search Plus, Health Source-Consumer Edition, Military and Government Collection, MAS Ultra-School Edition, Literary Reference Center, GreenFILE, Topic Overviews 6-12, and the statewide EBSCO and Project Gutenberg e-book collections. Over 25,000 encyclopedic entries covering a variety of subject areas. Provides students with easy-to-read encyclopedic entries written specifically for elementary and middle school students. Recommended for middle and junior high school students. Contains full text for more than 140 popular, middle school magazines. All full-text articles are assigned a reading level indicator (Lexiles). Full text is also available for thousands of biographies and historical essays. Provides electronic access to the only comprehensive record of dissertations accepted by American universities during that time period, the print index Doctoral Dissertations Accepted by American Universities. Containing twenty-two years of dissertation research and amounting to over 93,000 citations. Most of the local jobs are posted here, including some that are not anywhere else. Features nearly 1,000 online tutorials, practice tests, and eBooks to help Brownwood library patrons of all ages. It offers job search and workplace skills improvement, skill building in reading, writing, math, and basic science, career certification and licensure exam prep, college and grad school entrance test prep, GED® test prep, and more. An all-in-one resource to guide you through the entire job search process and provide personalized, step-by-step assistance. Includes resume & cover letter help, career exploration and practice interviews. Login using your existing Learning Express account or create a new account. Sponsored by the U.S. Department of Labor, provides employment information, career management and tools to help job seekers, students, businesses and career professionals. Abstracts and full text from over 400 periodicals covering archaeology, art, classics, film, folklore , performing arts, philosophy, religion, world history, and world literature and more. Includes feature articles, interviews, obituaries and original works of fiction, drama and poetry in all fields of the humanities from art, classical studies, and film to journalism and more. Covers all aspects related to librarianship. It indexes periodicals, books, research reports and proceedings as far back as the mid-1960s. An engaging online experience for those seeking contextual information on hundreds of today's most significant science topics. The solution merges Gale's authoritative and continuously updated reference content with full-text magazines, academic journals, news articles, experiments, images, videos, audio files and links to vetted websites organized into a user-friendly portal experience. Contains nearly 300 full-text journals and magazines covering topics such as computer science, programming, artificial intelligence, cybernetics, information systems, robotics, and software. Provides a balance of full-text technical journals and full-text consumer computer titles. In today’s global economy emphasizing 21st Century skills, career-based knowledge and ongoing professional improvement is critical to succeeding in the workplace and in life. LearningExpress Library’s unique, interactive online learning platform provides patrons with the most comprehensive selection of career-oriented and academic resources available to help with job preparation, career advancement, career changes, and re-entry into the workforce. Practice tests, exercises, skill-building courses, and information for GED, college prep, job searching, citizenship and more.